There’s a lot to like about Bruce Thierry Cheung’s solo directorial debut Don’t Come Back from the Moon. A frequent James Franco collaborator (he shot The Sound and the Fury and The Adderall Diaries for the actor/producer/director and co-directed the 2018 dystopian sci-fi action film Future World with him), the veteran cinematographer’s purposefully minimalist adaptation of author Dean Bakopoulos’ novel Please Don’t Come Back from the Moon is disquieting in its hypnotically austere minimalism. Moving the action from Detroit to a windswept rundown town somewhere in the southern California desert on the Salton Sea, this is a coldly bleak story of youth searching for answers during a summer of senseless loss and abandonment, the resulting answers bracingly affecting even if they aren’t particularly surprising. But the movie just as equally cannot help but feel a little slight, more of a visual and emotionally visceral exercise in crafting a consistent mood and setting a dynamic tone than it is anything else. With his use of expressive close-ups coupled with long expansive shots of seemingly never-ending desert vistas of a dilapidated, crumbling community on the verge of being gobbled up by the sand, the film is undeniably visually impressive. But the use of narration and chopped-up conversations that only take shape in the vaguest of can’t help but come across like a cinema studies major attempting to emulate Terrence Malick at his most self-indulgent. These various elements frequently feel as if they are working at cross-purposes for a great deal of the narrative, and even at a brief 82-minutes I still found sitting through Cheung’s debut without squirming a little more difficult than it arguably should have been. There is still a lived-in quality to this tale that I cannot deny. I loved the first half hour or so, the portions where Cheung, co-writing the script with the Bakopoulos, introduces us into this world and sets up the conditions the various characters all find themselves forced to deal with. The ethereally barren strangeness of both the locale and the bizarre events are fascinating, and I loved the way the director submerged me right in the center of it all with practically no explanation whatsoever. Cheung and his cinematographer Chananun Chotrungroj utilize their poetically sparse and majestically vacant environment with mesmeric precision, the expressive, tragically persuasive charms of this introduction undeniable. 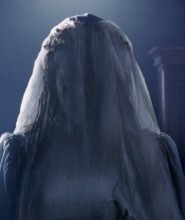 The basic thrust of the plot involves an entire community of abandoned wives and kids where all of the men for one reason or another have slowly left to explore their options elsewhere. The teenagers have labeled this as, “going to the moon,” all of them urging one another not to do the same once they’re old enough to make their own way in the world. Events are centered on 16-year-old Mickey (Jeffrey Wahlberg), his father Roman (Franco) taking time to teach him how to drive before slipping out of town himself to who knows where, leaving the teen to take care of his emotionally devastated mother Eva (an outstanding Rashida Jones) and younger brother Kolya (Zackary Arthur). In some ways he’s better off than many of his friends, some like the lovely Sonya (Alyssa Elle Steinacker) or his volatile, bird-loving cousin Nick (Hale Lytle) left entirely on their own after their respective dads disappear. How does the community react? The kids, especially the teenagers, find a number of varying ways to vent their anger including staying out late partying or scrounging the crumbling buildings and factories for bits of scrap metal they can trade for items like a used bicycle or a few eggs to make breakfast with. Mickey’s mom tries to fight through her own grief by opening up a makeshift barber shop in her kitchen, taking a few bucks here and there to cut the hair of the local kids or some of the remaining adults who haven’t bolted for the great unknown. One of those individuals ends up being one of the lone males (Henry Hopper) still around who is hoping to land a job as a grocery store clerk. Much to Mickey’s frustration he ends up falling for Eva, and it’s an open question whether or not the teen is going to let their romance run its course or if he’ll do whatever he can to stop it before it can begin. While some of that sounds relatively straightforward, in reality very little of it actually is. Cheung designs things in a way that it all ends up becoming a stream of consciousness mash-up of emotional disparities that bounce off one another as if they were a rubber ball trapped inside a hollow cube being shaken by a cantankerous child. Mickey’s voiceover tends to overexplain things, and his constant allusions to the surface of the moon can grow obnoxiously tiresome. But the openhearted clarity of the central story is refreshing, and the way the filmmaker manages to keep such precise focus Mickey’s attempts to put all these pieces together is impressive. There is also a naturalistic grace to his growing attachment to Sonya that’s expressively rich, making her surprise decision to forgive her father (Robert Scott Crane) all the more heartbreaking because of this. The film’s third act gets a bit jumbled. Mickey decides to go looking for answers outside of his Salton Sea community, the discoveries he ends up making too ambiguous and vague to be as deeply moving as I think Cheung intends them to be. I also felt like, as hopeful and moderately heartwarming as the final moments might be, the last few scenes rang slightly bit hollow as far as I was concerned. I just didn’t buy that the choices Mickey was making were wholly genuine, and while the idea that this circle of abandonment and capitulation to life’s indignities has hopefully come to an end felt sincere, it just didn’t seem to me this teenager was the one who was going to be able to accomplish such a feat with anything approaching lasting success. Granted, having not read Bakopoulos’ book I could be reading this story’s intentions all wrong. More than that, even though Future World was something of an eye-rolling disaster, Cheung showcases a confidence with actors and an impressive imaginative flair that makes me believe this young director is a talent worth keeping an eye on. 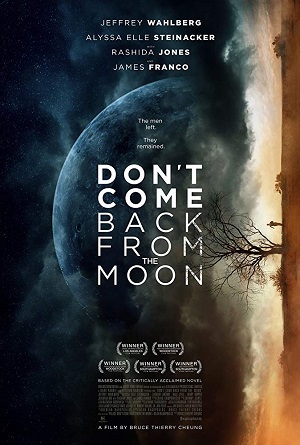 If I don’t love Don’t Come Back from the Moon that doesn’t mean I still didn’t find much to be intrigued by and bewitched with here, this visually elastic piece of a cinematic poetry a dramatic curiosity I’m happy I took the time to see.